How I Got This Book: From the public library. Why I read this book: Once I read one book by an author, and if I like it a lot, I try to read ALL of his/her books. So, as I said, I heard this one was going to be great, so I decided to read it! Rating: 3 stars-- It was an OKAY book, not great. Basically the book is following "trends" that actually do happen with the world nowadays. It's about three teenage girls who make a pregnancy pact while in their senior year of high school. When I first started reading the book, I was bored. I don't know if any of you have seen the lifetime movie called The Pregnancy Pact, but I felt as if Barbara (the author) watched the movie, and/or heard about this event that actually happened and decided to do a story on it. I felt as if her book wasn't original enough. It just seemed too planned or maybe too played out. So, these three girls decide to do a pregnancy pact while in their senior year of high school, and their parents are totally against it. The book is about trial and error, loving unconditionally, and working as a family through the rough times, rather than just the good times. I felt as if the Mothers in the book were being very selfish about the whole situation, as well as the town the book takes place in. One of the teenage girls mom, is the High School Principal and her fellow staff, school board and faculty members, as well as town members are pointing fingers and saying she could prevent it. Honestly, I would recommend this book to either other Barbara Delinsky fans because it is an okay book. But, it's definitely not a favorite that I've ever read. As I said, it seems too played out, too planned, too much like the actual story that happened not too long ago. I feel like this particular author and/or story shows that they (the author) couldn't find anything better to write. Maybe I'm being too honest, or too outspoken, or too harsh, but I'm not really sure how else to explain.. basically, the book was just too stereotype-ish and dry. Huh. Sounds interesting. I have to stay away from books/movies about things like this because it just pisses me off. I get angry at the stupidity of people (really? a pregnancy pact? really?!). It's why I can't read FML or watch any reality show on MTV. Stephany, I appreciate your honest review! I don't read much Barbara Delinsky, but I know friends and family who do. I definitely won't be recommending this to them. It sounds like a poorly written Lifetime movie. I've had this one in the back of my mind as something I'd like to read. I think this book and that Pregnancy Pact Lifetime movie were probably being written at the same time--the book came out a month or two before the movie, I think. I'm sure they were both inspired by that Gloucester story. Kind of sounds like a lemon to me. I've never heard of Barbara Delinsky but the whole pregnancy pact thing kind of puts me off of her. The Pregnancy Pact was a great movie to watch with friends though (with possibly some alcohol and pizza). Jess.. it did seem like a poorly written lifetime movie! But, there IS a lifetime movie out on that exact same topic. However, the movie is actually pretty decent. Especially with the alcohol and pizza that Ash mentioned!!! Haha. Trai.. her books are pretty good. I've read a few of them, but some of her books are definitely better than others. I do recommend you at least try it for yourself, especially if you're interested in the topic. Obviously I am in the minority here. I really liked this book. 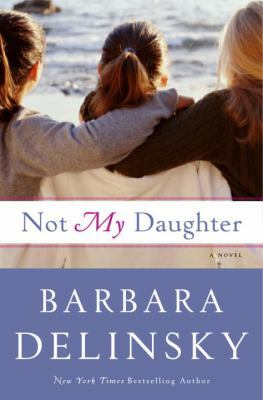 It is a great story about relationships between friends, and mother-daughter relationships as well.